Birmingham is set to become the top shopping destination outside of London as Grand Central, the city’s new £150 million premium retail and dining destination, sees well over half of its 60-plus shops, restaurants and cafes opening, or expanding from concessions, for the very first time in the city. 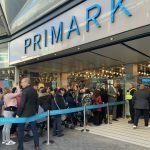 Due to open this September, the diversity and novelty of Birmingham’s newest shopping destination, which will sit above the magnificent New Street station, is a massive draw card for national retailers and restaurateurs. Joining ‘anchor store’ John Lewis, Grand Central will welcome to Birmingham for the first time an array of leading, premium brands including: Foyles, The White Company, Hobbs, Joules, Kiehls, Cath Kidston, Pylones, Neals Yard Remedies, Paperchase, Gobstoppers, Mica Beauty, Paul Boulangerie, Fuel Juice Bar, Caffé Concerto, Tapas Revolution, Pho, Tortilla, Giraffe, Square Pie, Yaki Nori, Cocomacs, Steel & Jelly, Crepe Affaire and Frizzenti. 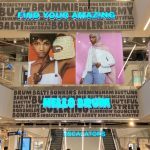 Keith Stone, Grand Central leasing director said: “The desire from these premium retailers and eateries to invest in the city shows that Birmingham is now a national retail destination. Being situated above New Street Station will make Grand Central the ideal location for leading brands and extremely convenient for people, offering a unique shopping and station experience. Grand Central will form the final piece in the city’s shopping offering as the £35m investment from John Lewis will make Birmingham the only city outside the capital to offer all five of the UK’s major department stores: Harvey Nichols, Selfridges, Debenhams, House of Fraser and John Lewis – all within a short walking distance of each other.